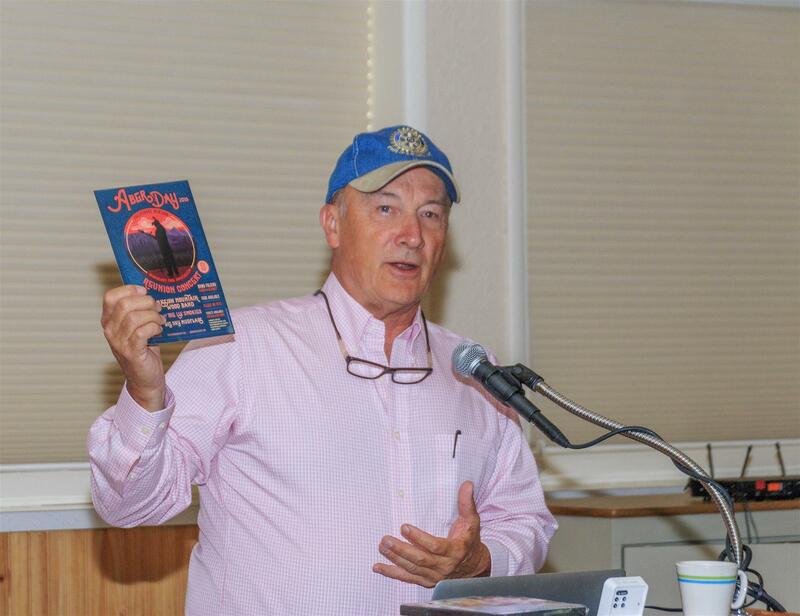 Our speaker on July 29th was Jim Jenner—Writer and a corporate Director of PACCOM Inc. Jim is an international award winning writer and director who has a passion for pigeons. He explained that this passion emerged when, as a young boy, his parents moved from a rural area where he was immersed in nature daily, to the concrete jungle of Seattle. His distress at this wrenching change was mitigated when he met another young boy, who remains his life-long friend and who introduced him to raising pigeons. It provided him an opportunity to continue to stay in touch with nature in that urban environment. As a true pigeon aficionado, Jim shared with us an array of little known facts about pigeons, including the fact that pigeon guano is just found where they rest, that they fly dry. He also shared that pigeon racing is a very popular sport around the world and that top pigeons are sold for six figure sums. It’s safe to say everybody who attended the meeting will never view pigeons as “flying rats” again. For more info go to http://www.pigeonfilms.com.